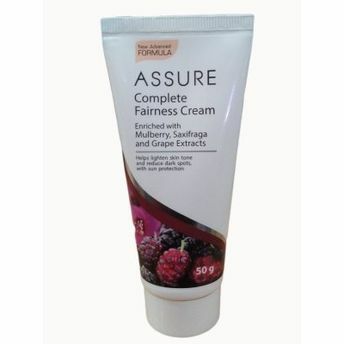 It effectively improves skin complexion and make it look radiant and fresh with continuous use. Infused with a unique whitening complex made of white mulberry, skullcap, saxifraga and grape extracts that gives a natural glow to the skin and helps to lighten dark spots. Spreads easily and absorbs quickly to give even-toned and fairer skin and controls tan.